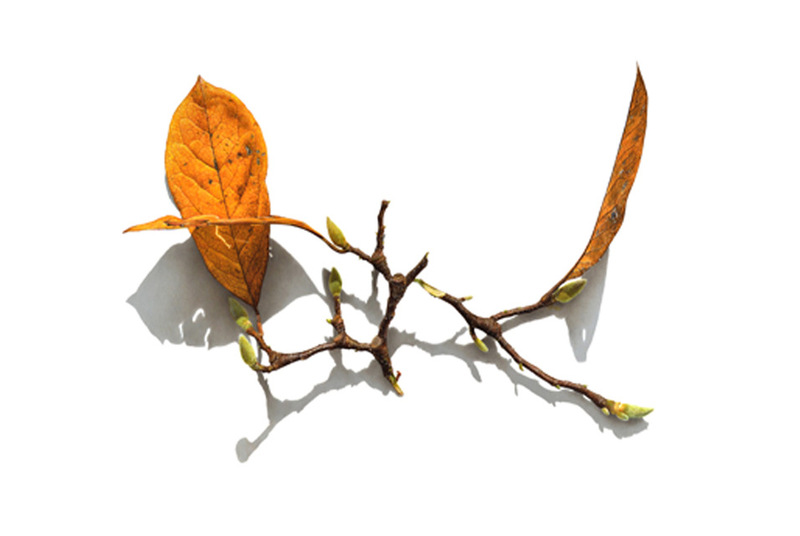 David Morrison, Magnolia Branch Series No 3,2012,Colored Pencil On Paper,15x21 in. NEW YORK, NY.- Garvey|Simon presents an exhibition of new drawings by david morrison. This is Morrisons first solo show in New York. david morrison challenges the idea of what is cherished in nature by celebrating the beauty of the over-looked and the imperfect. Found broken branches, a peeling sycamore tree, bug-eaten leaves and flower buds provide fodder for his newest body of work. The artist is enthralled by the subtle details in nature that are only observed up close. He patiently researches and visually dissects these details, enhancing over-looked textures, veins and colors to create organic visual adventures that celebrate the inherent substance and structure of life. Using colored pencil on paper, Morrison delicately showcases the molecular vastness of these discovered fragments of nature. His meticulous execution invites repeated close inspection and analysis. Each drawing isolates his subject individually against a pristine white paper. This isolation sets the found castaways apart and elevates them from debris to icon status. His drawings reveal the moments of growth and decay with a precision that defies what the naked eye is capable of seeing. Developed within each layer of color and mark made is a private world from the artists imagination. Envisioning the life of a small insect, Morrison excavates his own terrain along a branch, leaf or flower to reveal a microcosm of texture and color. His work offers an intimate and introspective connection with each of his humble subjects. The densely rendered shadows cast beneath each object create an animated ghost-like life -- emphasizing light and announcing the new life awakening in spring. david morrison graduated with an MFA from the University of Wisconsin-Madison in 1985, and received his BFA from the University of South Dakota, Vermillion in 1981. He is currently a Professor of Art at the Herron School of Art, Indiana University and Purdue University at Indianapolis. He has shown in over two hundred fifty international and national exhibitions and has received numerous National Awards and Fellowships. His work is included in numerous public and private collections including The Whitney Museum of American Art, New York; The Smithsonian American Art Museum, The National Gallery of Art and The Corcoran Gallery of Art, Washington DC; The Nelson-Atkins Museum of Art, Kansas City, MO and The Portland Art Museum, OR to name a few.